Reading the WordPress annual report is a great recap of the year to get a sense of what your readers like and where they come from. 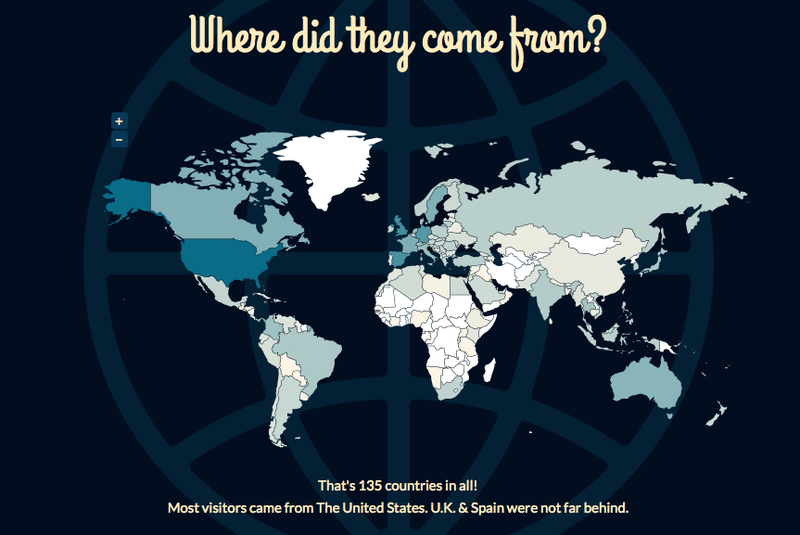 I was really happy to see that I had visitors from 135 countries to Alicia Tastes Life! Thank you for visiting the site and I hope to continue reaching more places and people. Wishing everyone joy, peace and prosperity! See you in 2015. Hi, thanks so much for the kind note! Hope your holidays and New Year was fun and the best wishes to you for the year ahead!